Following on from the successful Cycletta events which aim encourage more women into cycling, Victoria Pendleton has taken things one step further by launching a range of women's bicycles for new lady cyclists. In the genteel neighbourhood of Knightsbridge, a very graceful Ms Pendleton showed off one of her two-wheelers - the stylish blue and cream Somerby. 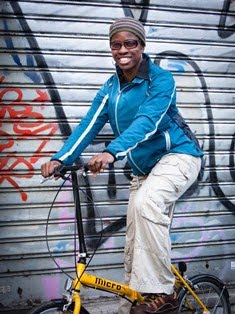 Victoria got the idea of launching this new range while at the Cycletta ride last year. She noted the great number of women doing their first ever cycling event were using bicycles borrowed from their son, their brother or another male relative. 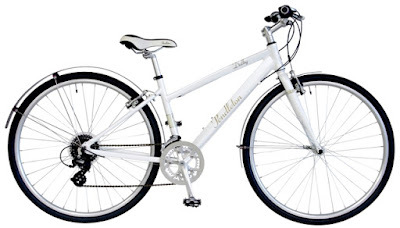 The ladies expressed a wish to ride a women-specific bicycle that they can use for keeping fit, and something that they can look good on when riding. With that in mind, the Olympic Individual Sprint Cycling Champion set to work designing bicycles that would suit new women cyclists and women looking for a traditional bike that can be ridden in neat non-cycling clothing. 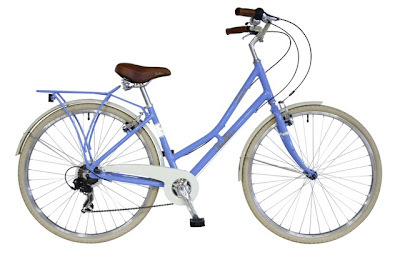 So, from 22nd March (online)and 29th March in stores we ladies will have the choice of a step through Somerby with optional basket on the front, a Brooke hybrid, or a Dalby hybrid with more gears and mud guards - all at reasonable prices from Halfords. "I have cycled since I was 6, so I know a bit about bikes," said the eight-time World Track Cycling champion. "These bikes are designed to be lightweight, functional and useable, though not competing with performance bikes. 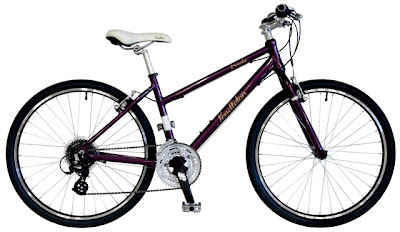 I just want women to enjoy riding their bike while looking good. I'm really excited to have had the opportunity to design these bikes." My personal favourite is the Somerby as I fancy something that I can wear with a skirt. I may have a little penchant for the rough and tumble of a bike race, but it's still nice to feel like a lady when I ride my bike at other times. Good call, Victoria! Fantastic blog!Hello there, You have done an excellent job. Thanks for the comment, wheel repairs. Glad you like the blog.